2017-05-03 update: This is actually GlobeImposter ransomware instead of Globe ransomware as I originally thought. Updated the writeup. Still seeing zip attachments containing .js files from the Blank Slate malspam campaign. 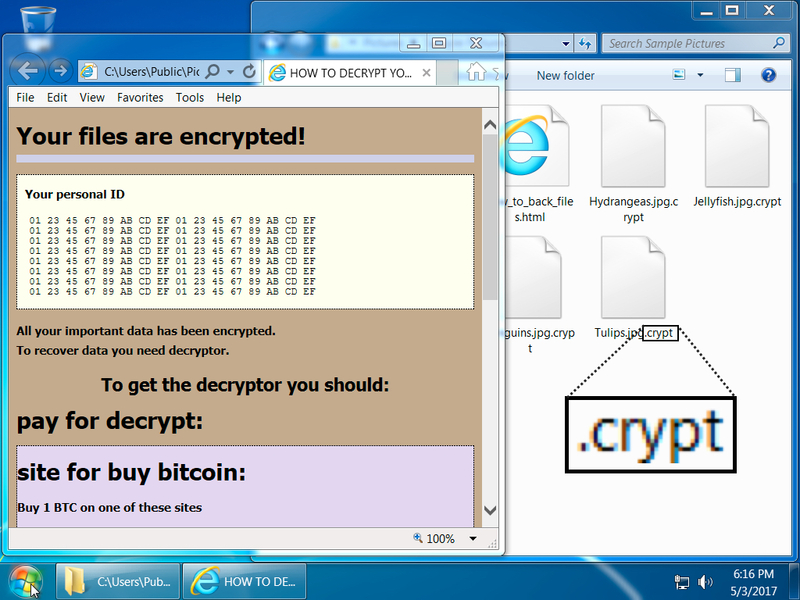 Yesterday, Blank Slate was pushing Mordor ransomware, but today it's pushing a different type ransomware. 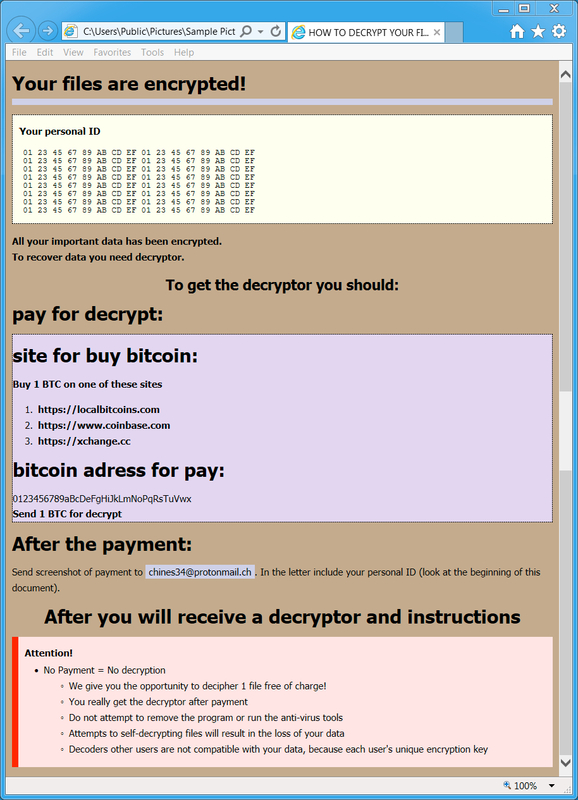 Based on the visual style of the decryption instructions, I thought this was a variant of Globe ransomware (link). After checking with @BleepinComputer, I found this is probably a GlobeImposter variant (different from the Globe ransomware family). No post-infection traffic was noted for this infection.